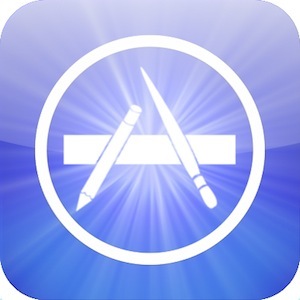 Mac App Store: Brilliant or Bust? So, I’ve had some time to digest the announcements made by Apple at their “Back to Mac” event, and although there weren’t a ton of surprises, one announcement in particular intrigues me. The Mac App Store will be launching in about 90 days and has already proven to raise some emotional responses. Some of the reactions I have heard are: “stupid”, “will fail”, “too many other places to buy software”, “we steal it anyway”, “will save time instead of searching the web” and “brilliant”. I went back a few years and read some of the comments when Apple announced the iPhone App store, not surprisingly the comments were about the same. There is one big difference, as an iPhone owner you downloaded your apps from the app store or from nowhere. In the case of the Mac App store users have the choice of purchasing from Apple or buying it directly from the developer as they do now. The questions I have heard asked most often is: “Why would I purchase from Apple when I can just buy it from the developer?” and “Why would developers part with the 30% fee to Apple when they can just sell their software on their own?” Both legitimate questions but if you think about it very simple to answer. People will buy software from the Mac App Store for a few reasons, and none of them will be about cost or low pricing. I’m looking forward to the Mac App store for convenience, all applications that I may want to run on my Mac in one place. This will be a huge time saver for me as I will be able to search many offerings in one place. Right now, I have to scour the web looking for the software I want to run, and more often than not, I have no idea what the software is called yet I do know what I want it to accomplish. If the Mac App Store is anything like the app store for iOS Apple will have some standards of operation before the apps are approved. In other words, there will be some sense that Apple has tested these applications and they work as the developer claims. With Mac users purchasing apps for their Macs in one place, feedback in the form of ratings will also be in one place, giving users more information as to functionality. As we have seen in the iOS app store, this rating system, albeit easy to manipulate, holds developers accountable for the quality of their software. of volume sales. Developers will be able to put their applications in front of millions of Mac users and forgo the expense of marketing their own website for sales. They won’t be responsible for processing payments or deal with returns as that will be up to Apple. In the end, developers will make more money and never miss the 30% as they will save twice that by eliminating marketing costs. Developers will then be able to reinvest that capital into designing better applications for everyone. The app store for the iOS devices has been a huge success for everyone: Apple, developers and consumers. Apple has really come a long way with ironing out the wrinkles that plagued the App Store in the early days, and will surely implement what they have learned to the Mac App Store. 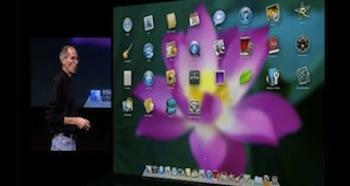 I see this as being a huge success and really moving the way we use our Macs into another dimension. 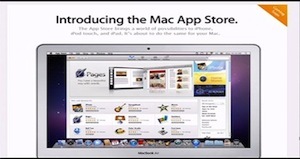 I want to hear your thoughts, are you excited about the Mac App Store? What type of affect will it have on the industry as a whole? How will it make you more or less productive? I look forward to your opinions.